Our yummy unspun Milk and Honey blend is sold by the ounce. This combed top is a light Fawn color is a blend of Merino, Alpaca, and Milk fiber. 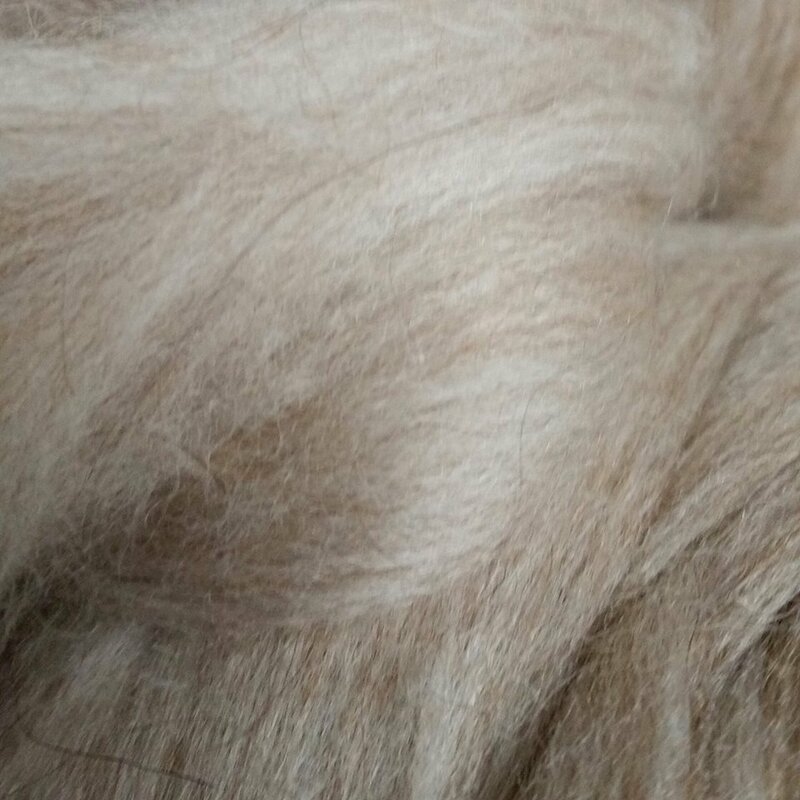 Super soft and luxurious has a Micron count of 17-19microns. Fabulous to blend or spin up as is.